Finding high quality free Easter cards is a challenge to say the least. If you want to send a card with East eggs or bunnies on it, then you are in luck. Otherwise, you may struggle to find something good. Hopefully by collecting these websites here it will save you some time scouring the internet. It is grouped into eCard websites and printable card websites. 123 greetings splits their Easter cards into 15 sections and the pictures are sometimes of a high quality. American Greeting has loads of cards. If you sift through the pictures carefully there are some good ones in there! GoodFridayCards has a very Catholic style to their cards. BlueMountain has 47 Easter ecards, many of them are just chicks and eggs but they do have a couple of more original ones that are worth a look. Blessedeaster is the place to go if you want an Easter card with flowers on them. Deliver.net has a good idea of allowing you to use flickr photos to create a more interesting Easter Card. You cannot choose from the whole of flickr though, so choices can be somewhat limited. HappyDays has a couple of decent ecards. Care2.com has chicks, bunnies and eggs galore! 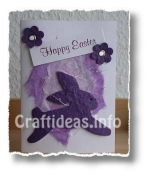 CraftIdeas.info has a good guide on making a collage Easter card. You can see a picture to the right. boogiesbc.ro has instructions on how to make an Easter card with Photoshop. This one is not for the fainthearted! Hoover Web Design has a collection of 5 cards (bunnies and eggs style) that you can print out and use. You can find extra free Easter stuff including sermons, cards, music, clip art, devotions and much more at the Easter page. i found your post on google. I think you need to stick to your Weight Watchers points quota per day and allow yourself only a few extra points a day and keep checking your weight once or twice a day. If you start gaining weight you need to reduce your points quota and if you start losing weight you could allow yourself a few extra points. Tips for Designing a Garden Pathway That’s Beautiful and Functional. I do not think so, the hydroponic gardeners have created a system, high in trial and error practises, which must have financial implications. With Organic Gardening fertilizers you will be using the fungi and nutrients already found in the soil naturally.